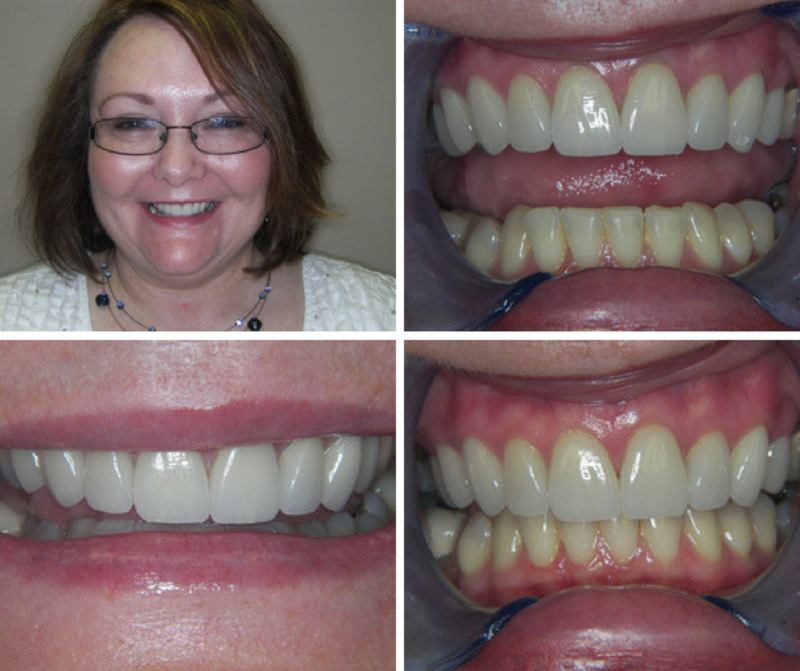 Following through with a tricky technique and creating fabulous esthetic results are professionally affirming, but we find the most rewarding moments come from the self-confidence we’re able to give patients through a new smile. 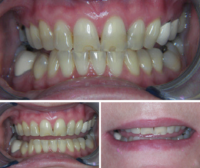 When we first conducted our comprehensive exam on Donna, her chief complaints included the appearance of the metal collar on the existing PFM crown #12, the band of Tetracycline discoloration of the teeth, and the deterioration of the incisal edges of the maxillary central incisors. After diagnostic records were complete, we formed a diagnostic wax up with the help of Gold Dust to restore the shape and function of #5-12. Because of the failure of multiple composite restorations both interproximally and on the incisal edges, we chose to restore the teeth with IPS Empress Esthetic crowns. Gold Dust’s ability to mimic natural tooth structure with porcelain shows beautifully throughout Donna’s case.